WE ARE OPENING A NEW SHOP!! Marketing and PR is not something that comes easy to The Street Food Chef team. We love shouting about our food….nearly 6 years on and we still eat at least one burrito most days (yes, a two burrito-day does also regularly occur), so that bit’s easy. And our bright yellow gazebo is easily spotted at local events, so the good people of Sheffield (that’s you) recognise us when we are out and about. And we LOVE talking to our customers on Social Media. But, ask us to run a campaign telling you about our new shop, and the new healthier options we are going to launch at the same time, and we sort of dry up. It feels all salesy and pushy. 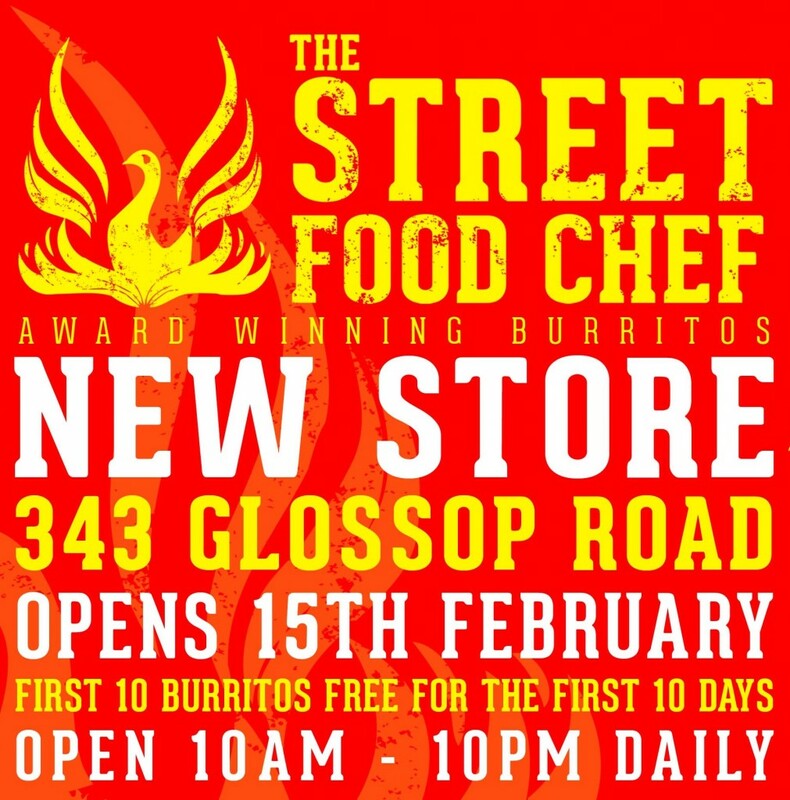 This is what I am going to do then….I am going to remind you all – via the wonders of Twitter, Facebook and Instagram – that on the 15th February, we are opening at 343 Glossop Road (it used to be Greggs, opposite the hospital) and to celebrate we are going to give away the first 10 burritos we serve every day for 10 days! 10 at 10 for 10 days! I will also keep you updated about our healthier options menu – which will be launched in all three shops at the same time.